The long Maine seacoast. The picturesque Maine mountains and lakes. All of this and more makes Maine a glorious place for a bike riding vacation. Whether you choose to take it slow and soak in the scenery or peddle hard and push yourself to the limit the ideal trail is waiting for you to discover it. 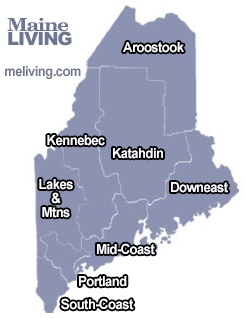 ME Living presents a selection of Maine biking trails by region. Ask us about Maine Bike Vacations or share comments. To feature your Maine business, contact us.